Our company offers a VAT refund service for diplomats, members of European Union Commission, SHAPE, NATO and different other organizations and missions in Belgium. Here you can find legal informations and links concerning the procedure to follow for a VAT refund, shops affiliated to our system or you can consult online the status of your documents sent to our address. Here you can find legal informations and links concerning the procedure to follow for a VAT reimbursement, shops affiliated to our system or you can consult online the status of your documents sent to our address..
We are a company created to help shops or persons who want to recuperate. the VAT from the sales price though a simple and easy way With more than 33000 satisfied clients every year, we can also help You ! Our program controls with VAT Administration, corrects and reimburses the persons with a VAT exemption. 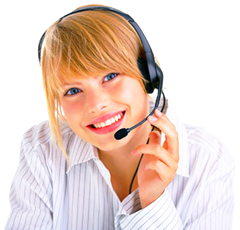 Our company helps you to consult on line the procedures for a VAT refund. or you can download the latest documents (450, 451 or 15.10) necessary to submit us your documents for a refund. Shops can order free documents. by email (info@redall.be), by fax/phone (02-3090001 from tuesday-Friday ) or by mobile 0495 31 27 55 (every day).